If you need to change your luck, Connecticut's other casino, Foxwoods, is a short 15-minute drive from Mohegan Sun. Foxwoods is home to Connecticut's only indoor outlet shopping center, too: Tanger Outlets at Foxwoods. There are three Connecticut Wine Trail wineries extremely close to Mohegan Sun: Holmberg Orchards & Winery in Gales Ferry, Maugle Sierra Vineyards in Ledyard, and Preston Ridge Vineyard in Preston. Visit one or all for a tasting, and begin collecting stamps in your wine trail passport. Explore the planet's ocean world at Mystic Aquarium, where you can touch sting rays, watch sea lions perform, and even reserve a close-up encounter with a beluga whale or an African penguin. Step back in time to the era of shipbuilding and whaling in Connecticut. This recreated village features interpreters in character and interactive demonstrations, plus museum exhibits, boat rides, and many special weekend events throughout the year. Explore the rich history of the Mashantucket Pequot Tribal Nation, the histories and cultures of other Native American tribes and the natural history of southeast Connecticut at this interactive, world-class museum about a 15-minute drive from Mohegan Sun. This Atlantic Ocean beach with a kiddie amusement park, circa 1915 carousel, batting cages, bumper boats, miniature golf and more is located about 45 minutes from Mohegan Sun. The beach is open May through Columbus Day. See New England and the Connecticut River the old-fashioned way. In addition to scenic trips, Essex Steam Train & Riverboat offers an incredible line-up of themed excursions year-round, from Eagle Flyer bald eagle-spotting trains to North Pole Express rides. 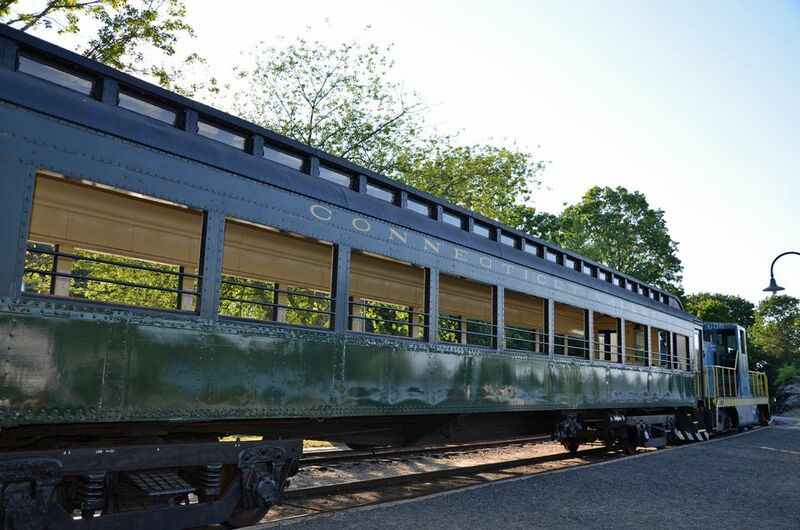 The dinner train is a relaxed way to spend an evening and an adventurous alternative to Mohegan Sun restaurants. Located on Misquamicut Beach in Westerly, Rhode Island, about 45 minutes from Mohegan Sun, this water action park is a great place to cool off. There are rides for those who want to float and chill and for those seeking a thrill. Captain John's in Waterford, Connecticut, offers deep sea fishing charters, family-friendly nature cruises, harbor seal watches, fireworks cruises, and more boating trips aboard the Sunbeam Fleet. Florence Griswold was the benefactor behind America's best-known impressionist art colony in Old Lyme, Connecticut. Today, the museum in Old Lyme houses a permanent collection of American art and also features changing exhibits. The museum is open year-round. The Submarine Force Museum and the historic USS Nautilus, the first nuclear powered submarine, are open to the public year round in Groton, Connecticut. Don't miss one of New England's best free attractions. Connecticut's first heritage park links together sites along the Thames River—including Fort Trumbull and Fort Griswold—via a seasonal water taxi. Visit the former home of Revolutionary-era patriot, merchant, industrialist, and entrepreneur Christopher Leffingwell in Norwich, Connecticut. This historic home is open Saturdays from April to October. Located in Niantic, Connecticut, this children's museum has hands-on, educational activities, and exhibits for kids of all ages, plus an Outdoor Playspace.